Study at a University dedicated to health sciences education and improving lives. Occupational Therapy education began at St. Ambrose in 1989 and offers the first accredited entry-level doctoral program in Iowa. Experiential learning takes place in labs, during community outreach, and in fieldwork experiences. 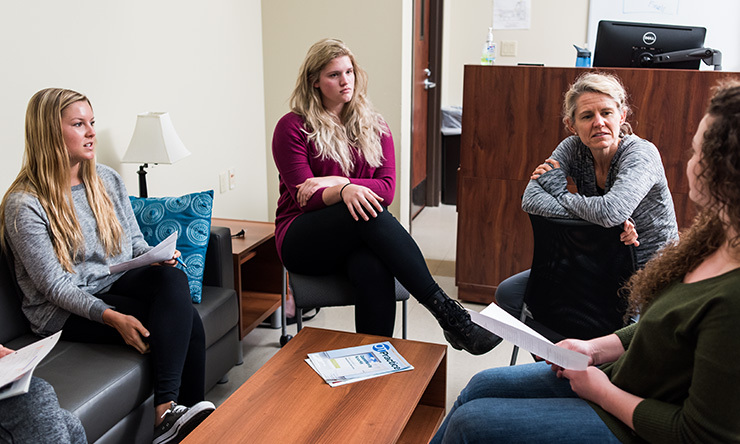 OT students also partner with students in other SAU health science programs with a focus on occupation-based, person-centered, inter-professional client care. Our faculty combine clinical experience with passionate dedication to their students, clients, and profession. Proof of their commitment is in our students who have an excellent NBCOT certification exam pass rate. Our graduates work at hospitals, healthcare facilities, rehabilitation centers, and many others. Study where strong clinical relationships support experiential learning! The OT Department has relationships with clinicians and clinics in the local community, region, country, and abroad. Multiple community outreach experiences allow for additional opportunities. Throughout the curriculum, experiential is emphasized so students can connect classroom study with real-world observations as they develop knowledge and skills. You'll begin coursework learning the Professional Foundation. This includes the domain and process of occupational therapy and the science of the human body that support occupational performance. Students advance to applying their knowledge during classroom and laboratory experiences. The following semesters emphasize Occupational Engagement: A Fit between Person and Environment. These include courses that examine the client and environmental factors that impact occupational participation, including evidence that guides assessment and intervention strategies that promote occupational engagement considering typical development, as well as the impact of disease, injury, or illness. The next step is engaging in Fieldwork that allows application of and practice of principles from the classroom followed by guided reflection activities. The final year culminates in a transition from student to practitioner with a culminating project, comprehensive exam, and experiential component. This supports the Bridge to Professional Practice. Students completing the OTD Program will develop a strong professional identity and advanced knowledge linking theory to practice in one of the following areas: practice, research and scholarship, service, administration, leadership, advocacy, education or theory development. Students develop an individualized path of study, in collaboration with a faculty mentor, in a focused area of interest beginning at the end of their first year and extending through the Doctoral Project Proposal and Doctoral Project courses. This includes exploration of literature, completion of research, and concludes with a project that has the potential to inform the profession and practice in a way that supports participation in occupation. As informed by the student's doctoral project, a 16-week Experiential Component will be planned where a student is able to put elements of their project into action. This could involve work with clients and clinicians in traditional or emerging areas of OT practice. The 16-week Experiential Component is the final element of the OTD curriculum. As with Level II Fieldwork, tuition, housing, and other related costs may be involved. As a graduate of the SAU OT program, you'll enjoy the perks that such an education and affiliation brings. ALL graduates are currently employed, and 85% of them are working at their first job choice. 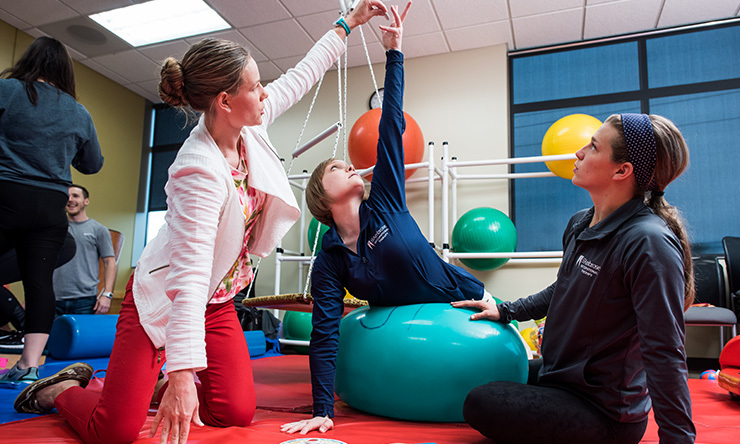 SAU Occupational Therapy graduates become health and rehabilitation professionals who work with individuals across the entire life span in a variety of practice settings. OTs often work on interdisciplinary teams with teachers, doctors, nurses, physical therapists, psychologists, speech therapists and social workers. OT treatments are individualized to help clients rebuild functional skills and live healthier lives. OTs respond to emerging social needs among growing populations, from premature infants to older adult clients, helping all achieve their highest level of function in the face of chronic health problems or other threats to long-term wellness. The OTD Program offers study abroad opportunities in Ecuador and Brazil as special topics courses (3 credits - approximately 3 weeks) within the OTD curriculum. Students travel with faculty to work, study, and live with host families. You will be immersed in the culture. You'll also attend "survival courses" in the native language along with OT courses and participate in a service learning project. OTD students also have an opportunity to study abroad for one of their two Level II fieldwork experiences (12 weeks). These opportunities are chosen very selectively and after analysis to ensure the learning experience meets all Level II fieldwork objectives for the program and accreditation. Students have completed Level II fieldwork in Ireland and Germany in the past. For more information, contact the OTD Program or the Study Abroad Office at StudyAbroad@sau.edu. You can click here to search our study abroad programs. 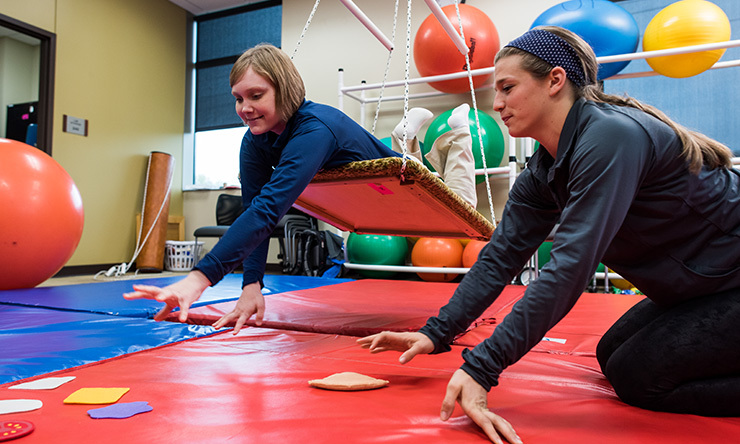 Two levels of fieldwork are required of occupational therapy students enrolled at St. Ambrose University. The fieldwork curriculum is comprised of 24 weeks plus a 16-week experiential component. Students in the OTD Program will be included in the St. Ambrose University One Price Tuition Plan. The One Price Plan ensures tuition costs remain at one rate throughout the normal course of full-time graduate study. Additionally, the cost is consistent across semesters, making financial planning easier. The One Price Tuition Plan includes all tuition, course fees, liability insurance, technology fees, graduation fees, parking fees, and a number of other costs incurred by occupational therapy students (such as CPR training, TB tests, and background checks required for fieldwork experiences). While this plan covers major expenses of the OTD Program, there are additional costs not included such as room and board, textbooks, and additional fieldwork costs that vary based on clinical site placements. For the cohort of students entering the OTD Program in Fall 2018, the total yearly tuition is $37,214. The total tuition cost of full-time enrollment in the 3-year OTD Program will be $111,642. Costs to enroll in our program are the same for Iowa and out-of-state residents. St. Ambrose University is committed to helping students from all financial backgrounds achieve their dreams of gaining a quality education. Learn more by calling the Financial Aid Office at (563) 333-6314 or reviewing the Financial Aid Office website. Contact the OTD Program with questions about the current One-Price Tuition Plan rate and details. Policies and published fees are subject to change. Graduate assistantships are an excellent way to gain valuable work experience while helping to pay for your graduate education. 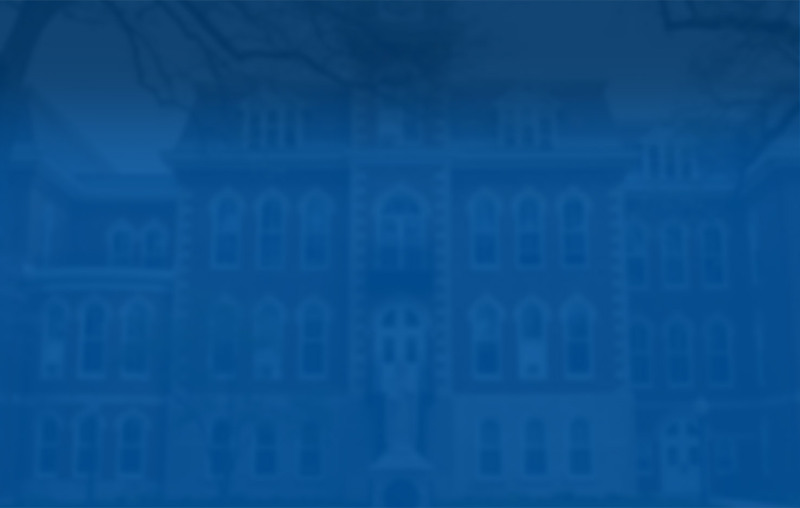 The Doctor of Occupational Therapy Program at St. Ambrose University seeks four graduate assistants each academic year. To learn more, contact Lori Parker at 563/333-6413 or ParkerLoriJ@sau.edu. In addition, a number of other student service departments offer graduate assistantships. Requirements for the OTD program are on the Curriculum page. Take the next step toward your Doctorate in Occupational Therapy and apply today!